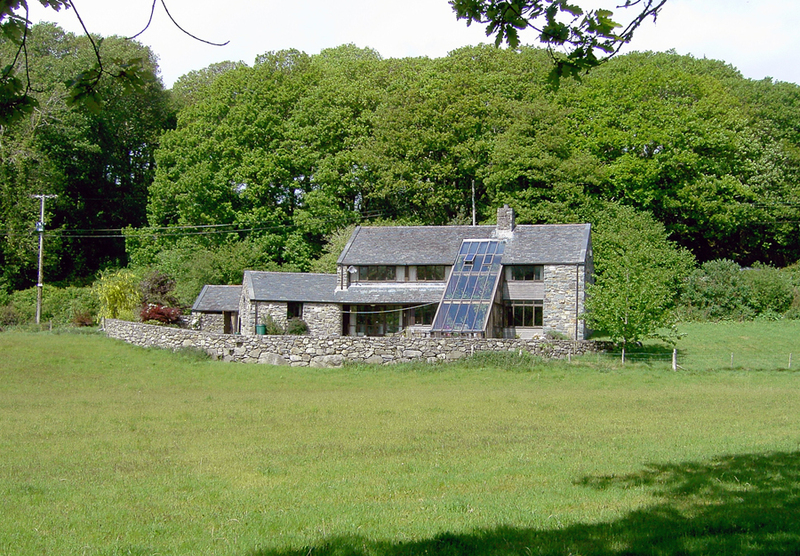 Breathing timber frame, reclaimed stone walls, reclaimed random slate roof, solar water panels, heat recovery ventilation, conservatory with brick thermal core, rural setting. 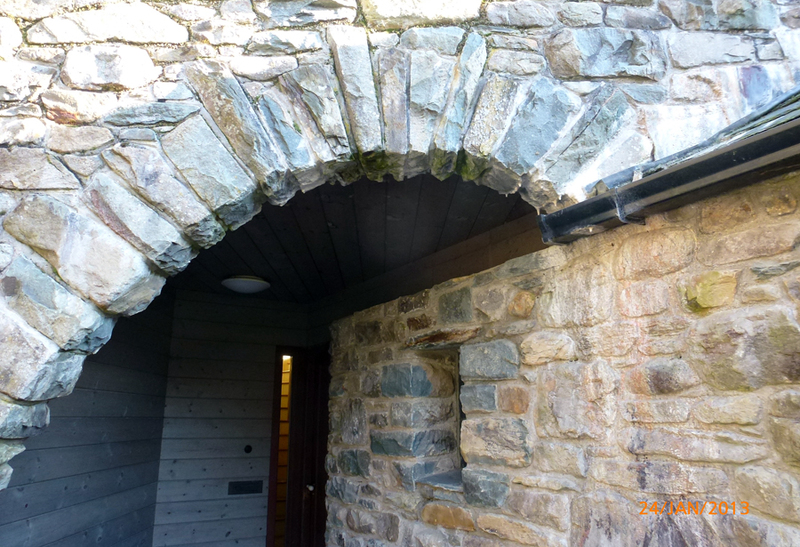 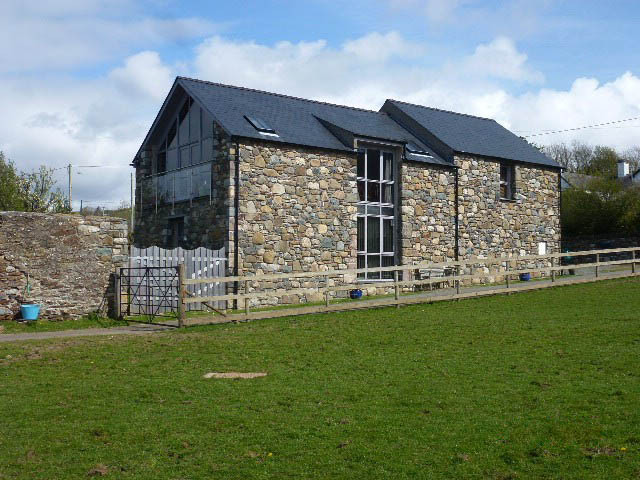 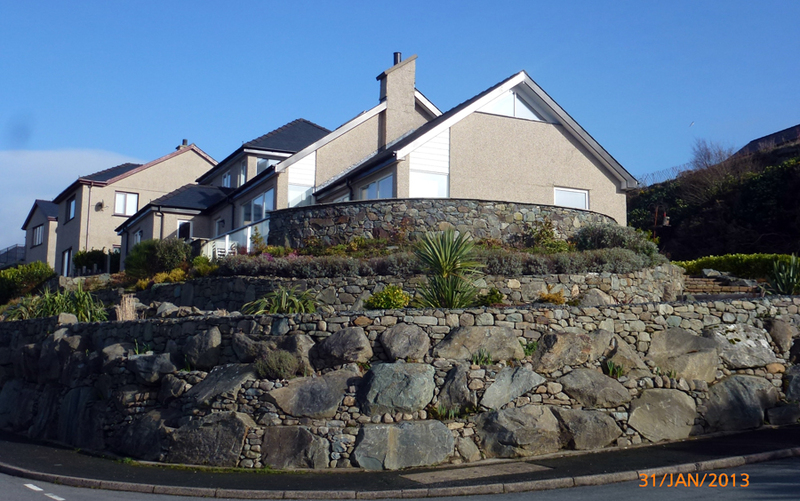 Featured in "The Buildings of Gwynedd"
Timber frame, stone cladding, conservatory and solar panels. 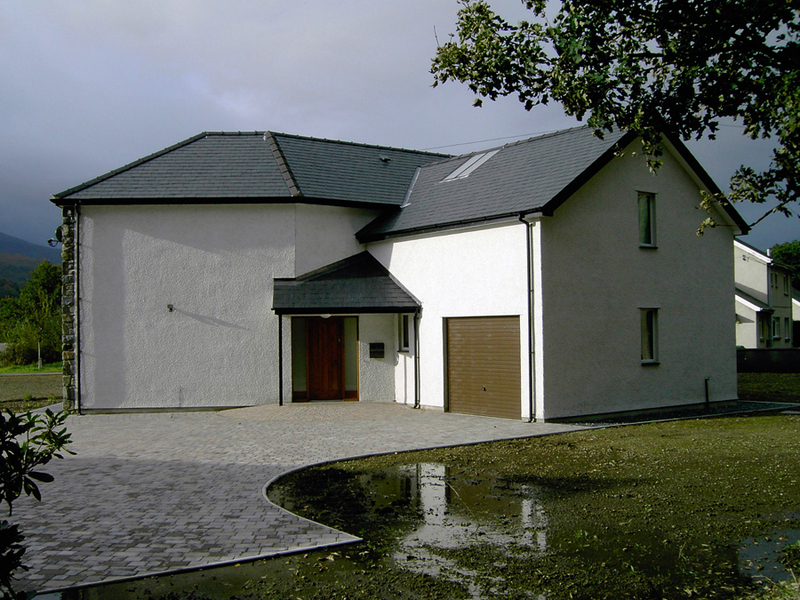 Featured in S4C homes series "Galwch Acw". 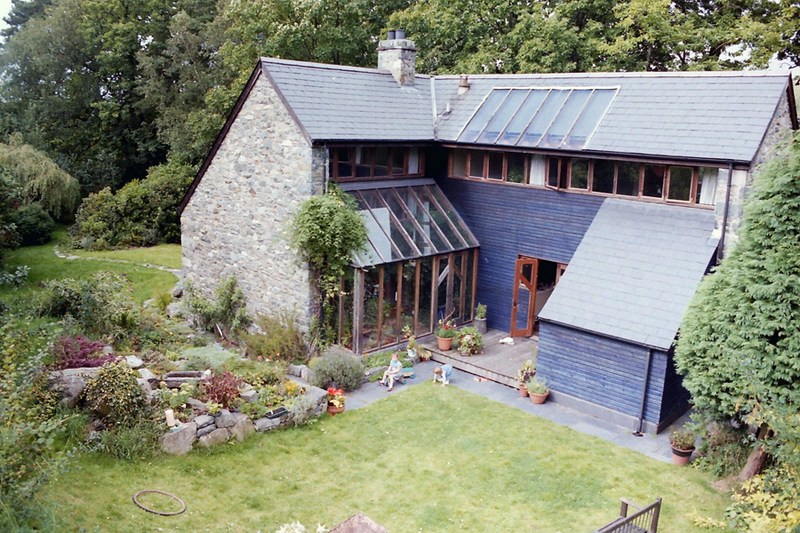 Rural setting, organic layout and sunken parking area. 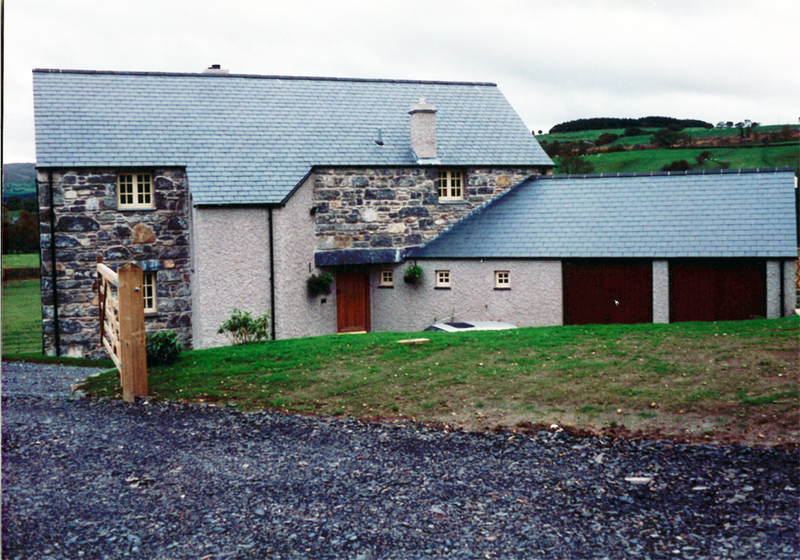 Close to listed buildings. 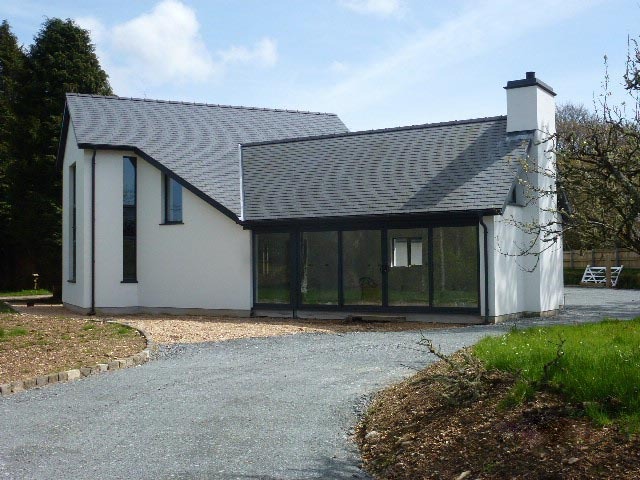 "Butterfly" plan around a conservatory and a double height central family room. 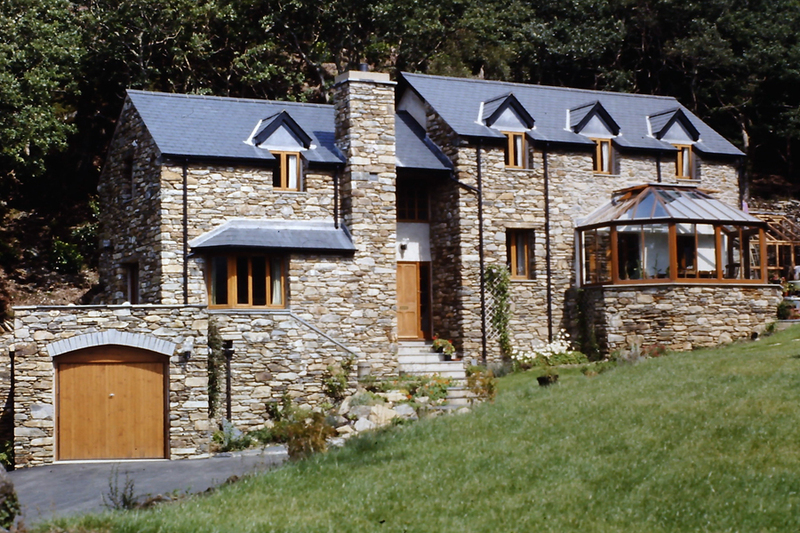 Timber framed and clad built on four levels over a rock outcrop. 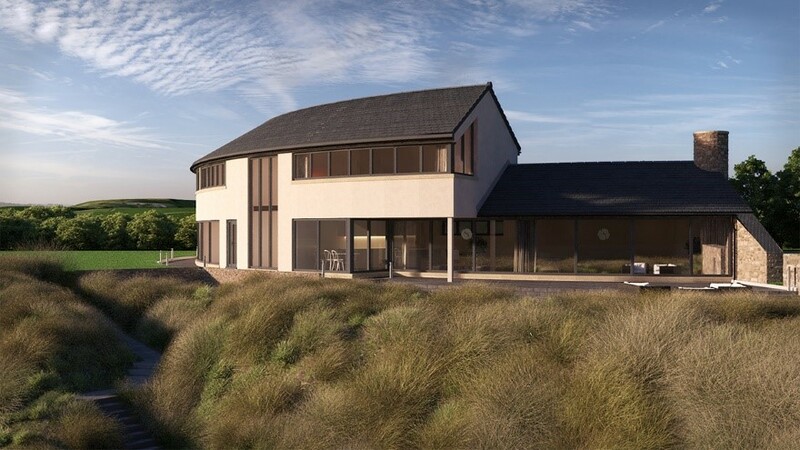 Sitting on the beach and grounded to the site with its rough stone wall, the house design responds to the curve of the Lleyn Peninsula across the bay. 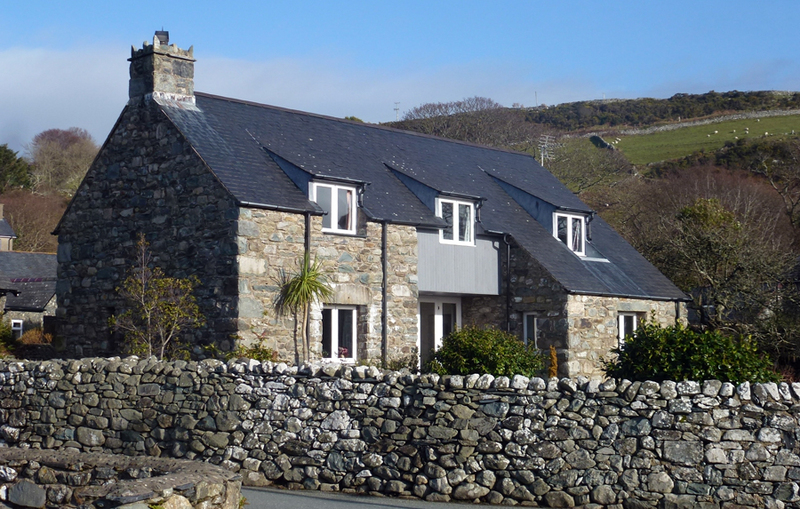 From the continuous bands of windows can be seen Mount Snowdon, Criccieth Castle and the whole of the Heritage Coastline of the LLeyn down to Bardsey Island. 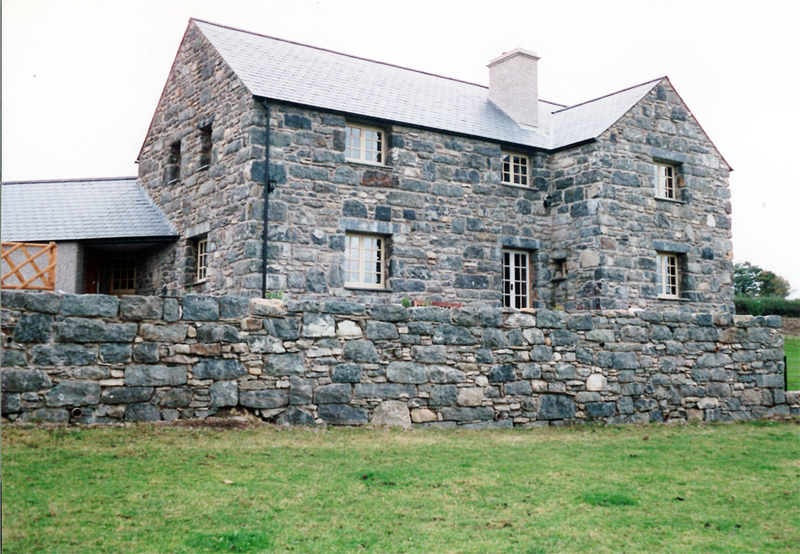 The view from the entrance is centred on Yr Eifl, Mountain on which stands Tre'r Ceiri an ancient hillfort. 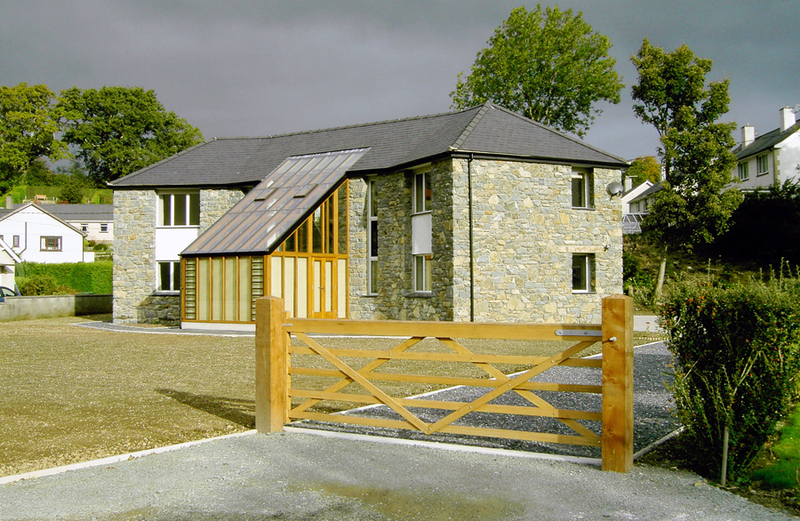 The new detached house is comprised of a main two storey block set out parallel to the main road and the adjoining Victorian villa while the large single storey living wing is angled to address Mynydd Carnguwch to the North, the mountain below which the family farm lies.